It's early April and spring is trying very hard to make an appearance, not altogether successfully. There's a cold rain falling today; the snow outside my window is dirty and receding to show wet, brown grass and muck. I'm off for my power walk and quite appropriately I'll be listening to the latest Adrian McKinty novel on my i-pod. I'm a big fan of audio books and I have a membership to Audible.com which has a great selection. When you purchase a book, you can even pre-listen to see if you like the narrator. Trust me, the narrator is important. The book I'm listening to is narrated by Gerard Doyle. This guy is talented. His voice takes on the sound of numerous characters flawlessly. He even sings a credible rendition of a few lines from a Tom Waits song in one chapter. I think that McKinty is a wonderful writer. He's witty and erudite and his characters are eminently likable. And he has a way with words. I do love a writer that uses the words "gibbous moon" and "wee shite" almost in the same sentence. In the Morning I'll Be Gone takes place in Belfast in 1983. The character Sean Duffy is an ex RUC detective inspector who has been drummed out of the force and then reinstated to do a job for the British that no one else seems capable of doing: finding and capturing an escaped IRA prisoner whom Duffy just happens to have known as a boy. You see, Sean Duffy is one of the few Catholic police officers in the predominately Protestant Royal Irish Constabulary. It's complicated. Everything about Northern Ireland is complicated. 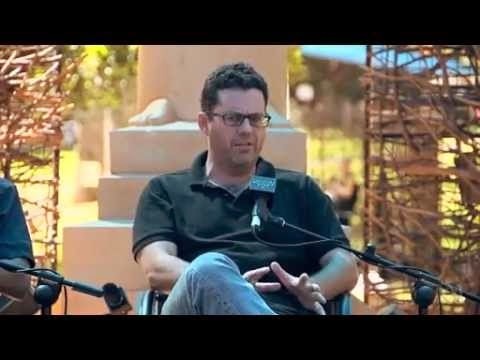 McKinty at the Adelaide Writers Festival. Adrian McKinty grew up in Sean Duffy's world...in Sean Duffy's neighbourhood, as a matter of fact. McKinty was born in Northern Ireland in 1968 and grew up on the Victoria Housing Estate in Carrickfergus, County Antrim, where his fictional character lives. McKinty left Ireland years ago, for the U.S. first and then Australia, where he now lives, but his portrait of Belfast in the 80's is vivid. Why is it that the places we knew as children live so completely in our heads?
" Things that seem strange now were just accepted: people checking under their cars for bombs, pat-down searches to go into the city centre, the night seemingly half the Army and RUC came to arrest one of our neighbours, bombs going off in Belfast." 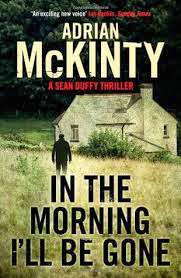 Unlike McKinty, his character Sean Duffy grew up in Derry, or Londonderry as the British renamed it. This is what struck me most about this novel. The mention of Derry ...and the scenes that took place in Derry. 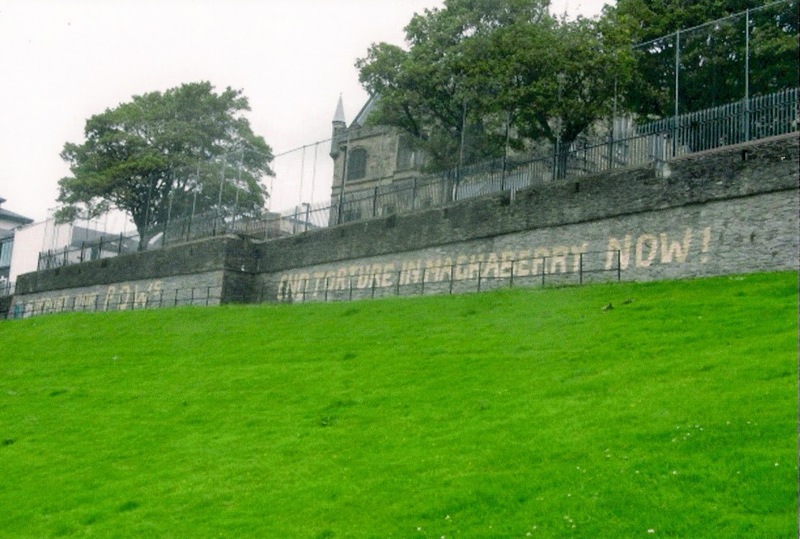 That's because the one place we visited in Northern Ireland on our Irish trip in 2011 was Derry. 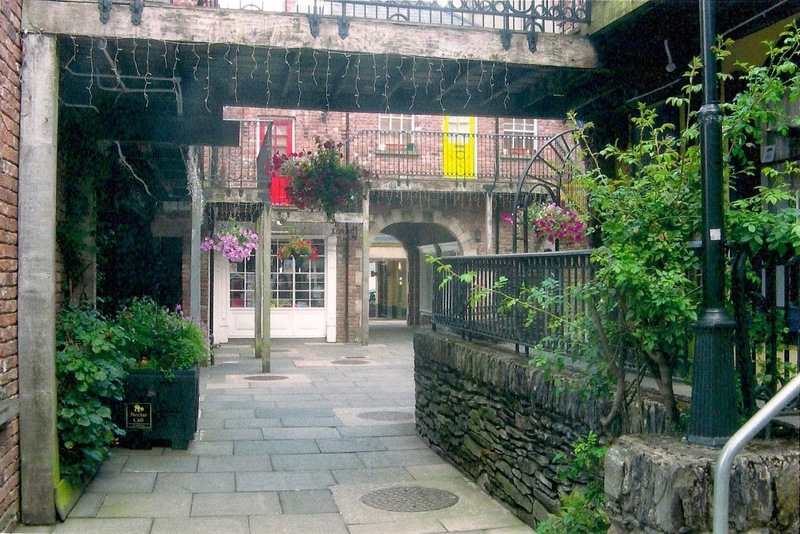 Our trip mainly centered around the Republic of Ireland, and County Kerry, home to my Irish ancestors. We had some trepidation about going to Northern Ireland. But we're very glad we did. We stayed at a lovely B&B called Troy Hall. It was a gorgeous old brick place lovingly restored by its very hospitable owners Michael and Anne. The rooms were lovely. And the breakfast was delicious, called, I was told, "an Ulster Fry Up." A word about the Ulster fry up. Big! Eggs, potato pancake, black pudding, bacon, sausage, fried bread, beans, toast....and a pot of good strong tea. Who needs lunch? After breakfast we were off to explore the old walled city. But what made the day memorable for me was the walking tour we took. Our guide was very knowledgeable, and more frank about the recent past of her city than we had expected. She grew up in Derry during the troubles. Her descriptions of life in Derry in the 70's and 80's mirrored McKinty's: bombs, sirens, "pat down searches" when she entered the old city center. And although there is peace now, the evidence of sectarian sympathies still exists. This is a view of a Protestant area of the city from the top of the city wall . It was July, the "Marching Season," and we could see in the burnt ground below us, evidence of a recent sectarian demonstration. The mural above makes reference to the Seige of Derry in 1688. 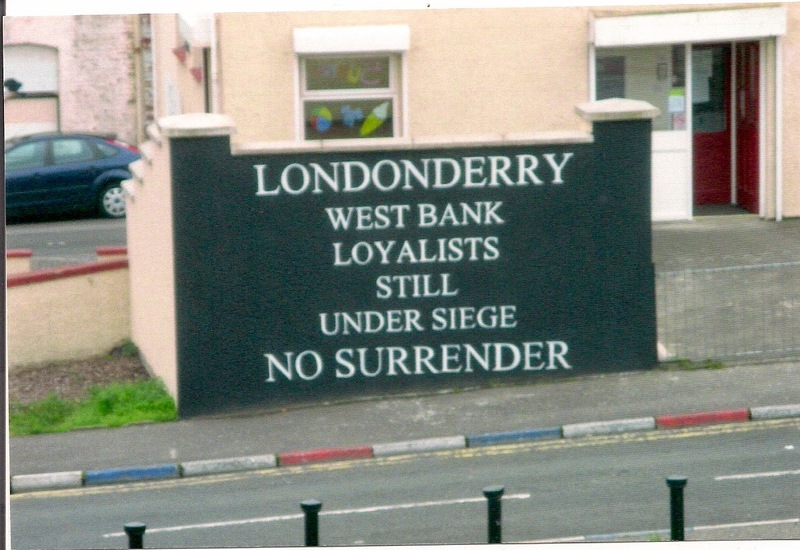 The "No Surrender" slogan used by the loyalists of the city then was adopted by later loyalist groups during the more recent "Troubles." The red, white and blue painted on the curbs symbolizes loyalty to the British. 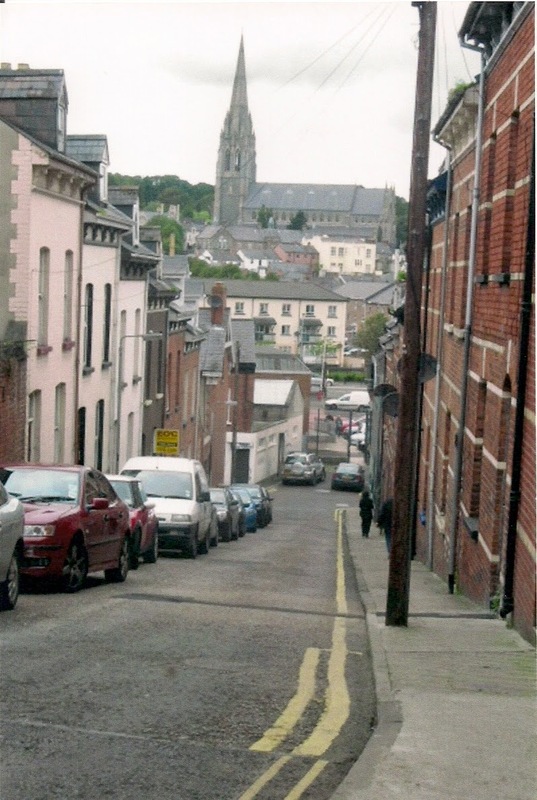 Our tour also included the area called Bogside, where the Catholic citizens of Derry have traditionally lived. 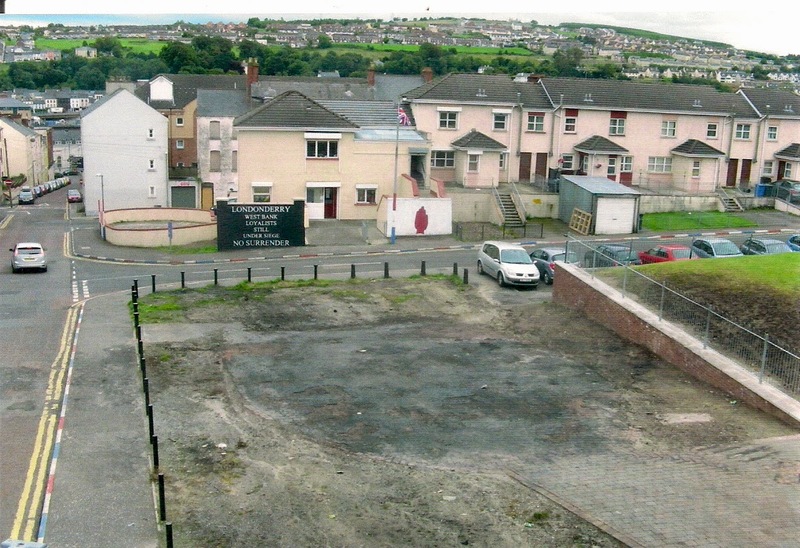 The photo below shows the view of the city walls from Bogside. Here the walls have been extended with iron fencing and barbed wire. It's a chilling sight. The building you can see behind the fence is the Apprentice Boys Hall, long viewed as a symbol of Protestant power in the city. As we stood grouped around the Bloody Sunday Memorial in Bogside our guide explained about that day in Derry in January 1972. 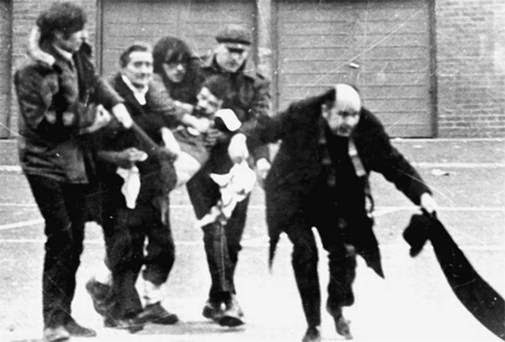 The Northern Ireland Civil Rights Assocation was marching to protest the British government's practice of arrest and detainment of terrorist suspects without trial (internment) and the continued endemic discrimination of Catholic citizens. Electoral policy was strongly prejudicial against Catholics. One rule in particular linked the allocation of votes to housing; no matter the number of eligible voters who lived in a house, only the "occupier and his wife" were allowed to vote. With Catholic unemployment running high (more than double the unemployment rate for Protestants) and allocation of council houses controlled by the Protestant majority, Catholic homes often consisted of large extended families, including grown children and their spouses who could not find (nor afford) alternative housing. This ensured that each Catholic home produced but two votes. And also ensured continued Protestant control of the 'democratically elected' government. Thousands marched that Sunday through Bogside. Rioting began and then died down. And the British Army soldiers shot 26 unarmed protesters. 14 died. Several were shot in the back. Despite the fact that the British Army claimed that they had been attacked and fired upon, no weapons were recovered. A tribunal held weeks after the event absolved the soldiers of wrong doing, but recently the Saville Inquiry contradicted the tribunal. The Saville Inquiry report, released in 2010, reinforced long held claims by the families that those who were shot were unarmed, had done nothing to provoke the shooting, and that many victims were, in fact, fleeing the gunfire. You can read a full article about the report here. 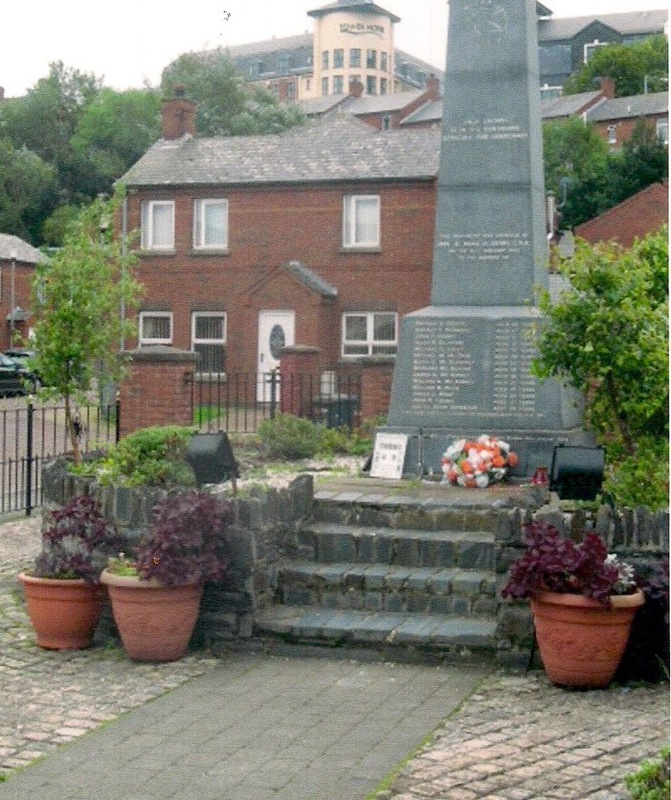 Later after our tour was finished, my husband and I returned to Bogside. 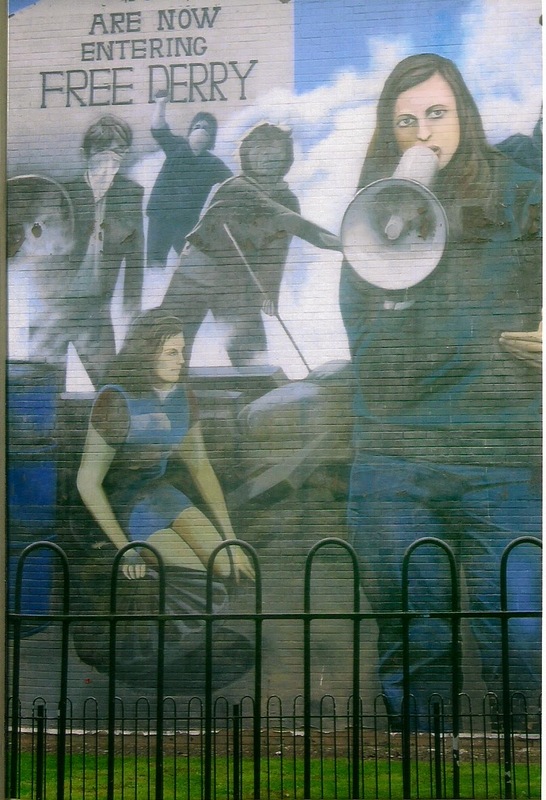 He wanted to take photos of the murals painted by the members of the Bogside Artists cooperative. We visited their store front gallery and I chatted with one of the artists. When he heard that we were Canadian his face lit up. "We just returned from Canada," he said. 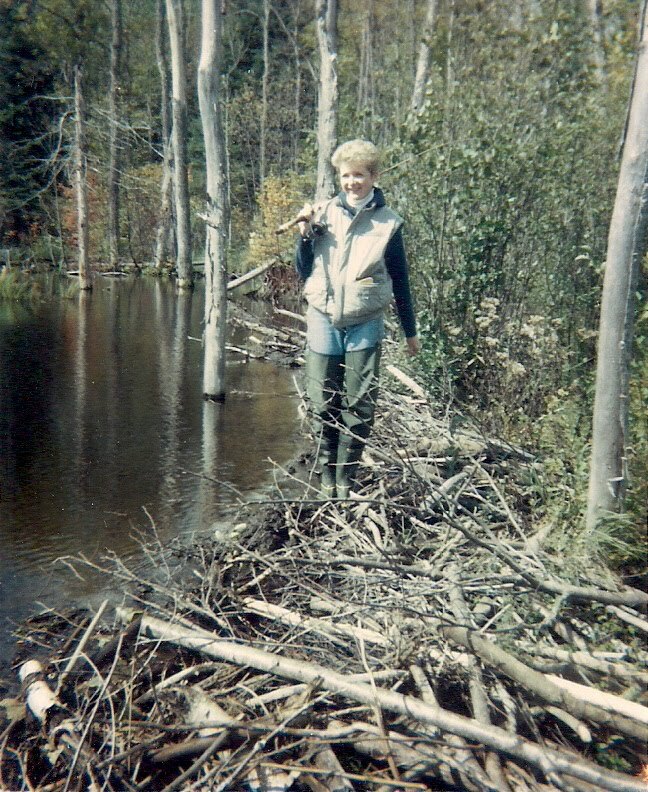 "We were invited to an Irish Festival in a little place called Miramichi, New Brunswick. Had a great time. I don't suppose you've heard of it?" "Weeeellll...as a matter of fact, I have," I chortled. "It's not far from where I grew up!" Mural of Fr Edward Daly and his famous waving of the bloodied handkerchief. 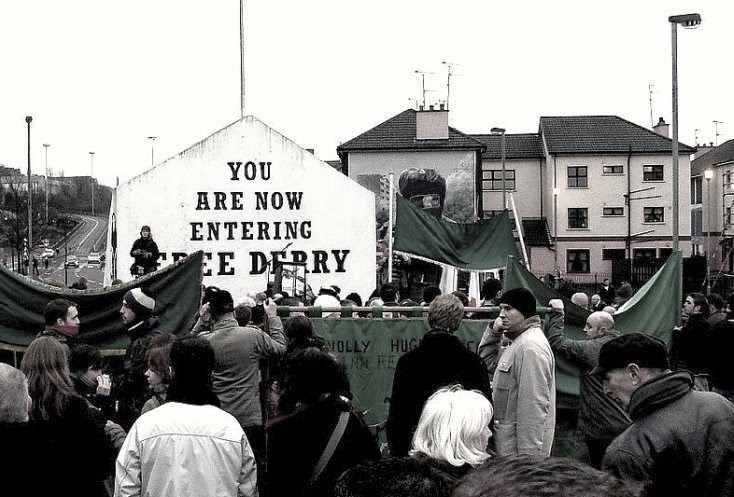 I have a hard time explaining how I felt while we listened to our guide and looked around us at Bogside in 2011. Moved. A bit teary. Changed perhaps. Or how I felt talking to that artist who has so effectively memorialized the events of Derry's recent past. Connected. Exhilarated. It's hard for us having grown up in Canada to identify with the time that McKinty describes in his work. Of course there was the FLQ crisis in Quebec in the 70's, but those events did not touch us in the same way that the residents of Belfast and Derry, and all of Northern Ireland, were affected by the "Troubles." Bogside was quiet as we walked back to the centre of the city to get a coffee. The streets were empty except for a young mother with a stroller. It's funny, if I were making a movie of what I wanted to say about the future of Derry and Bogside I couldn't have wished for a more moving or appropriate symbol. This has been overall a very difficult post to write. Partly because I have a hard time explaining my feelings about our visit to Derry. Partly because I don't want to get my facts wrong. So I've been stopping every sentence or so and checking my travel journal and googling names and dates...and then I get caught up reading about the events and the people. 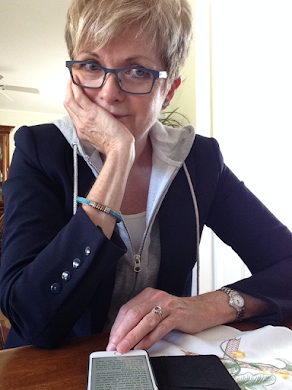 I started writing yesterday on a rainy, dreary afternoon. Today it's beautiful out. Cool with bright sunshine. When I'm finished writing I'm off for my walk again....and hopefully finishing my Adrian McKinty book while I walk. I've got a Roddy Doyle novel waiting for me. His sunny humour will be refreshing after two days mired in the "Troubles." I'll leave you with Tom Waits singing the song which inspired the title of McKinty's novel. Music critic Daniel Durchholz says that Wait's voice sounds "like it was soaked in a vat of bourbon, left hanging in the smokehouse for a few months, and then taken outside and run over with a car." Love that description. Let me know if you have any thoughts on ...well, anything, really.